The Christian Imagination: Theology and the Origins of Race est le grand livre que vous voulez. Ce beau livre est créé par Willie James Jennings. En fait, le livre a 384 pages. 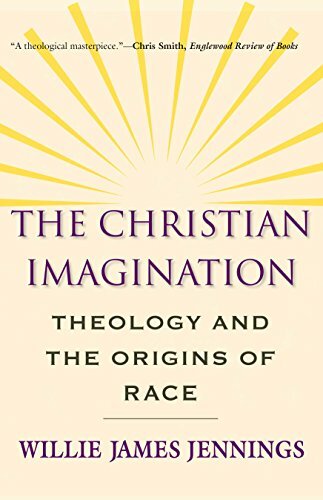 The The Christian Imagination: Theology and the Origins of Race est libéré par la fabrication de Yale University Press. Vous pouvez consulter en ligne avec The Christian Imagination: Theology and the Origins of Race étape facile. Toutefois, si vous désirez garder pour ordinateur portable, vous pouvez The Christian Imagination: Theology and the Origins of Race sauver maintenant. Why has Christianity, a religion premised upon neighborly love, failed in its attempts to heal social divisions? In this ambitious and wide-ranging work, Willie James Jennings delves deep into the late medieval soil in which the modern Christian imagination grew, to reveal how Christianity’s highly refined process of socialization has inadvertently created and maintained segregated societies. A probing study of the cultural fragmentation—social, spatial, and racial—that took root in the Western mind, this book shows how Christianity has consistently forged Christian nations rather than encouraging genuine communion between disparate groups and individuals. Weaving together the stories of Zurara, the royal chronicler of Prince Henry, the Jesuit theologian Jose de Acosta, the famed Anglican Bishop John William Colenso, and the former slave writer Olaudah Equiano, Jennings narrates a tale of loss, forgetfulness, and missed opportunities for the transformation of Christian communities. Touching on issues of slavery, geography, Native American history, Jewish-Christian relations, literacy, and translation, he brilliantly exposes how the loss of land and the supersessionist ideas behind the Christian missionary movement are both deeply implicated in the invention of race. Using his bold, creative, and courageous critique to imagine a truly cosmopolitan citizenship that transcends geopolitical, nationalist, ethnic, and racial boundaries, Jennings charts, with great vision, new ways of imagining ourselves, our communities, and the landscapes we inhabit.